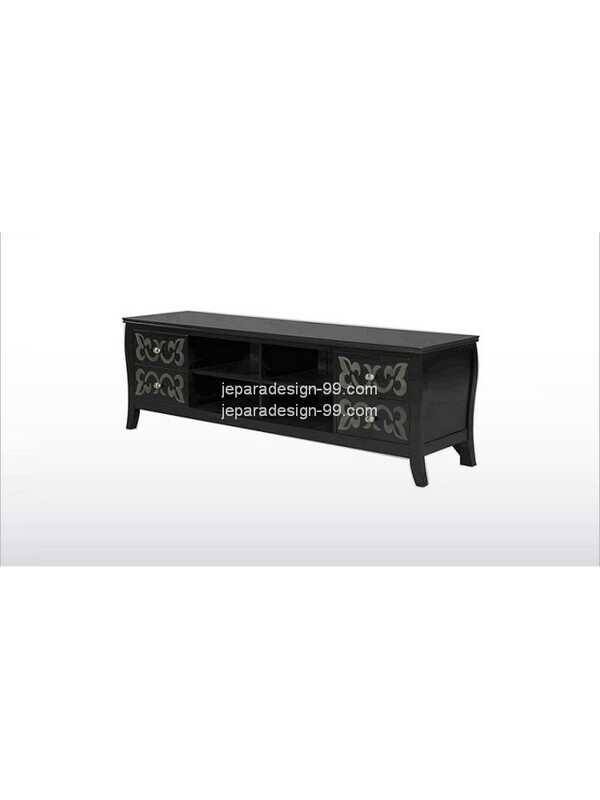 a black TV cabinet with four space to save your small stuff such CD or DVD. 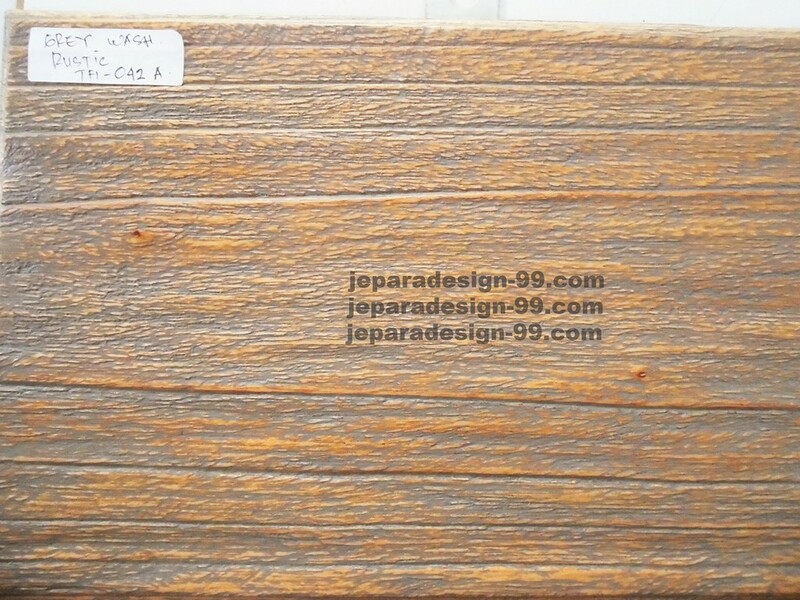 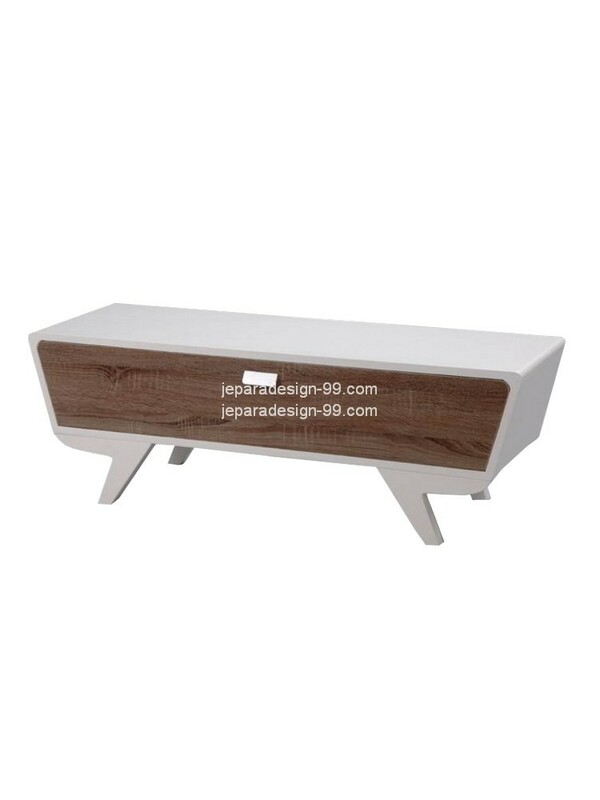 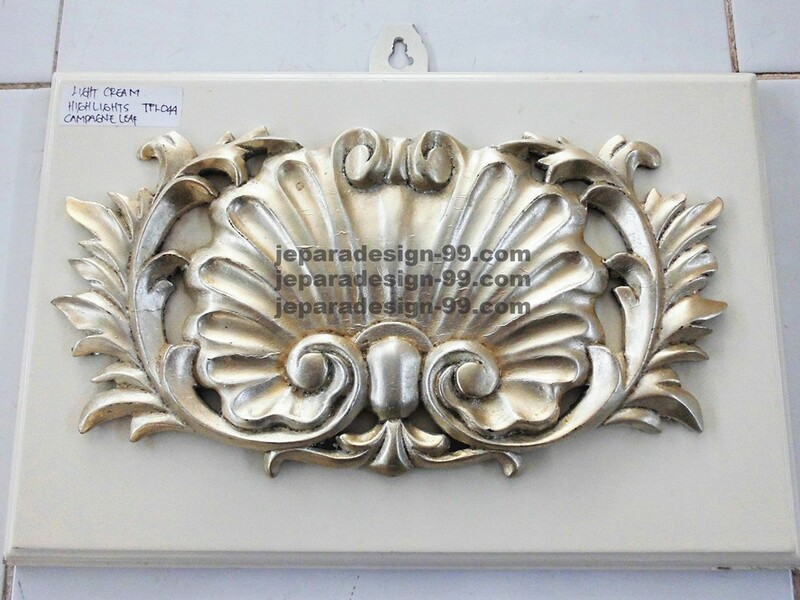 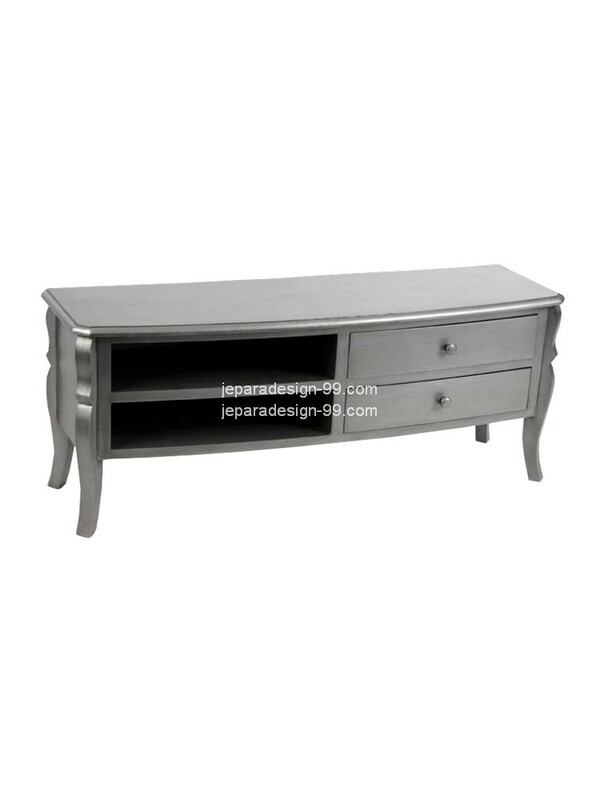 The plain and smooth surface of the cabinet is the result of well finishing process, to bring you the best performance for your satisfactory. 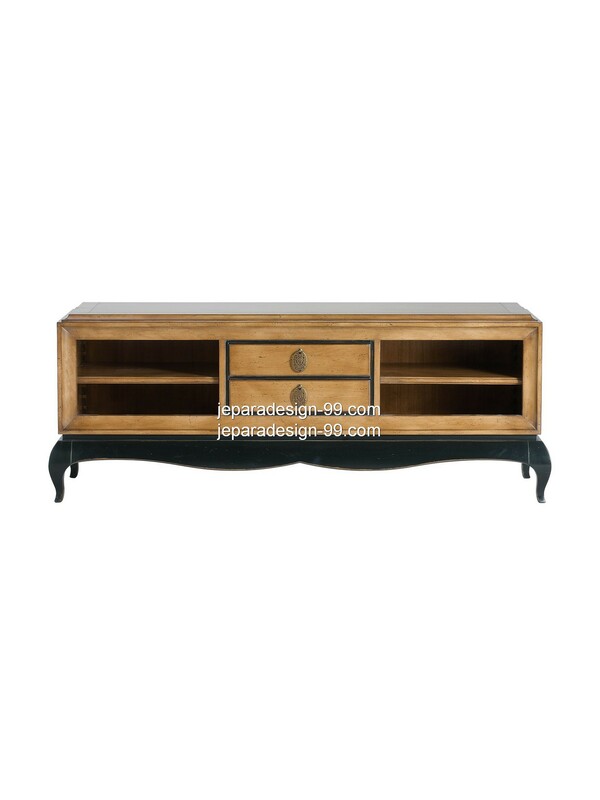 This plain black TV cabinet was made from selected Mahogany wood with well finishing. 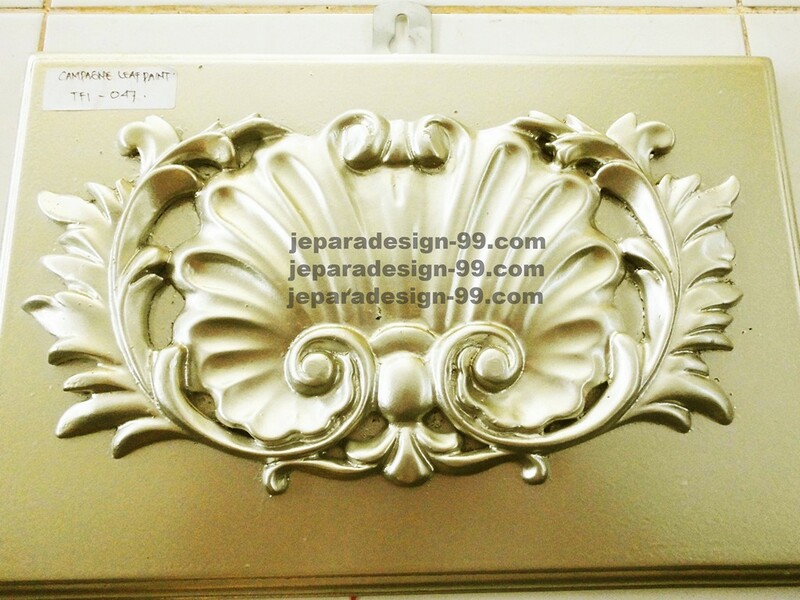 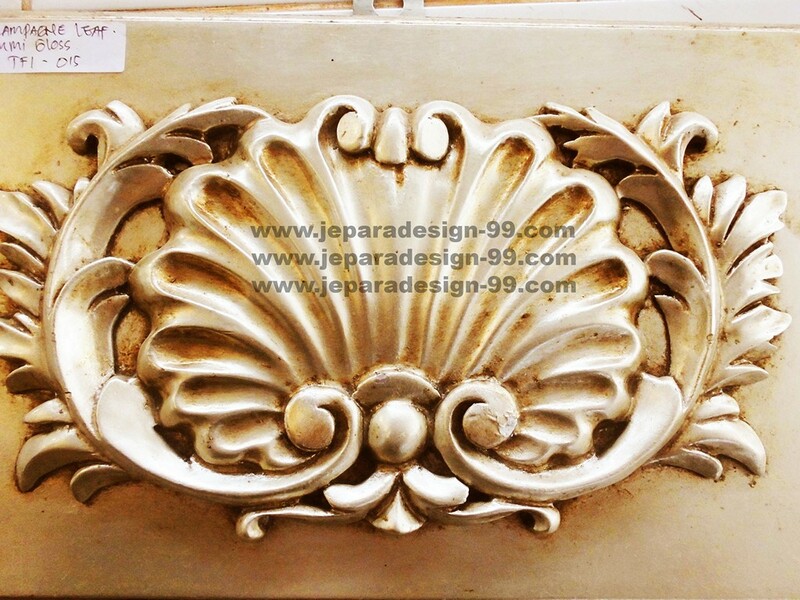 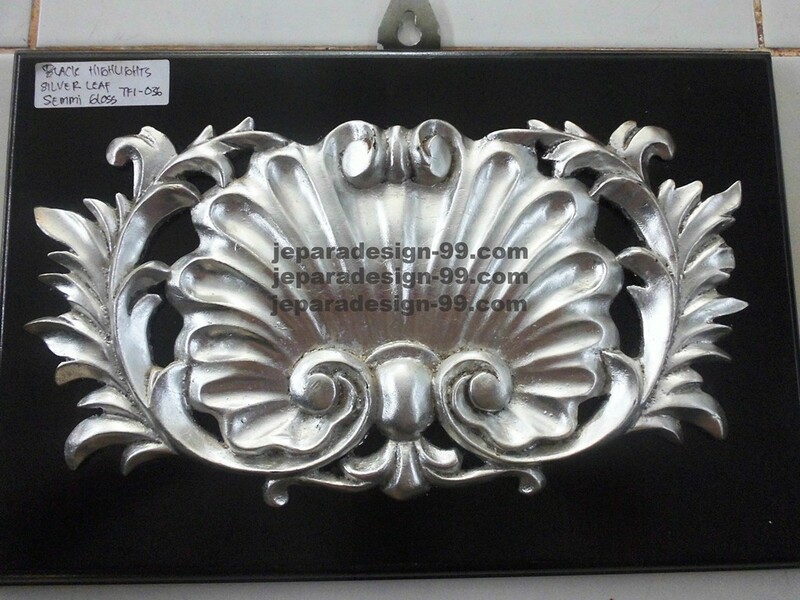 We provided 4 drawers beautify with flower painting. 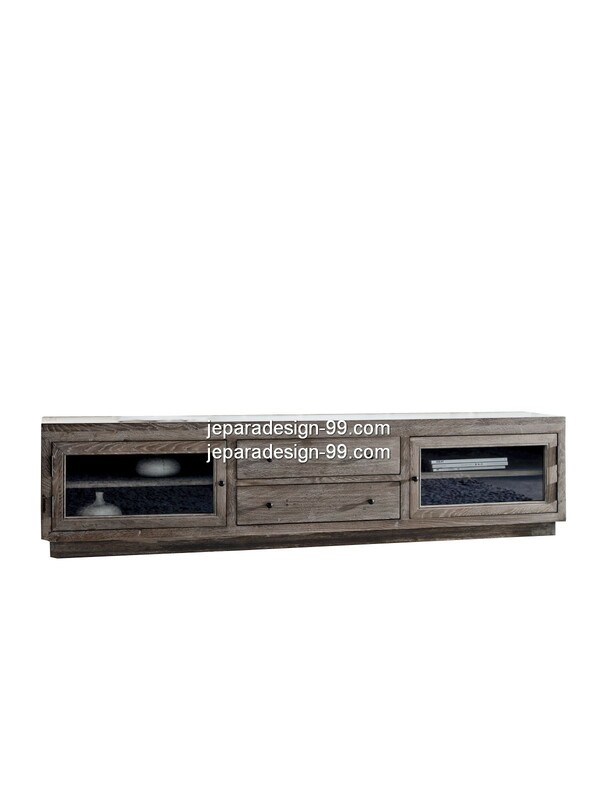 This TV cabinet was made of selected Mahogany timber, it has two drawers between four spaces. 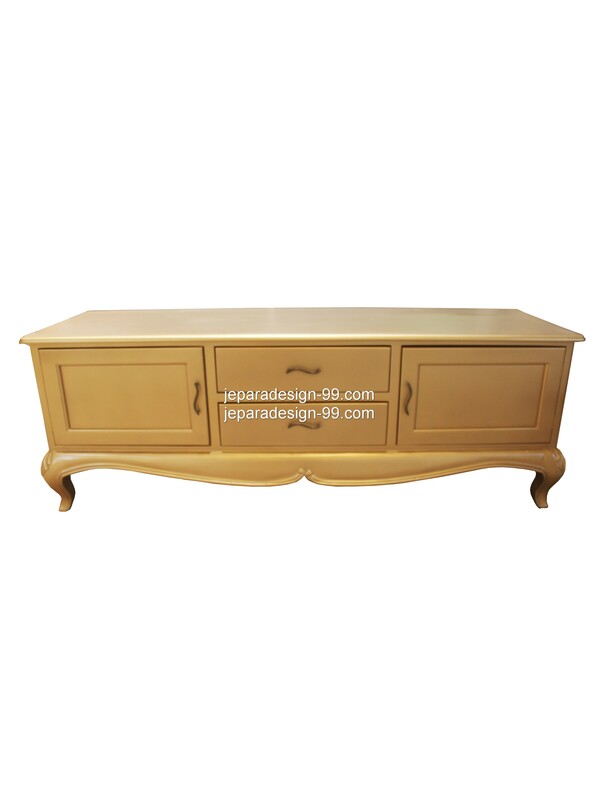 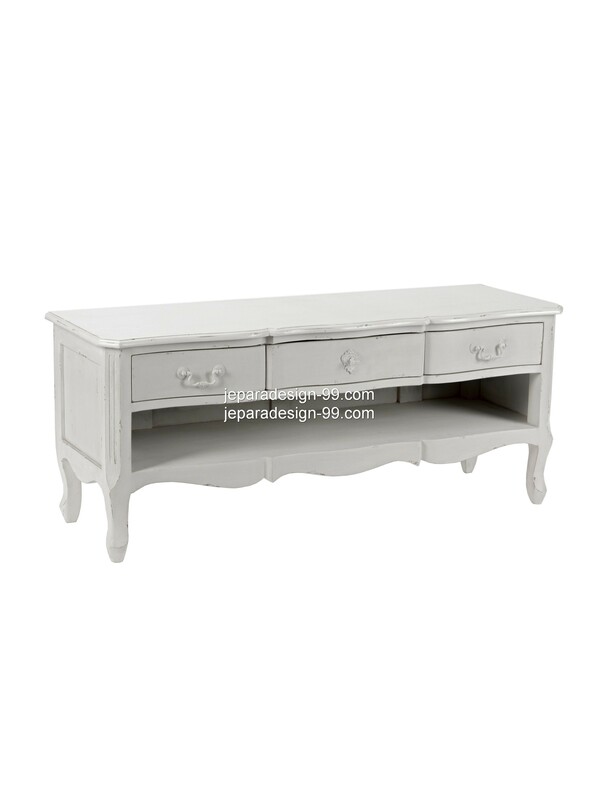 The curvy legs beautify the cabinet shape, giving classic accent to conventional shape. 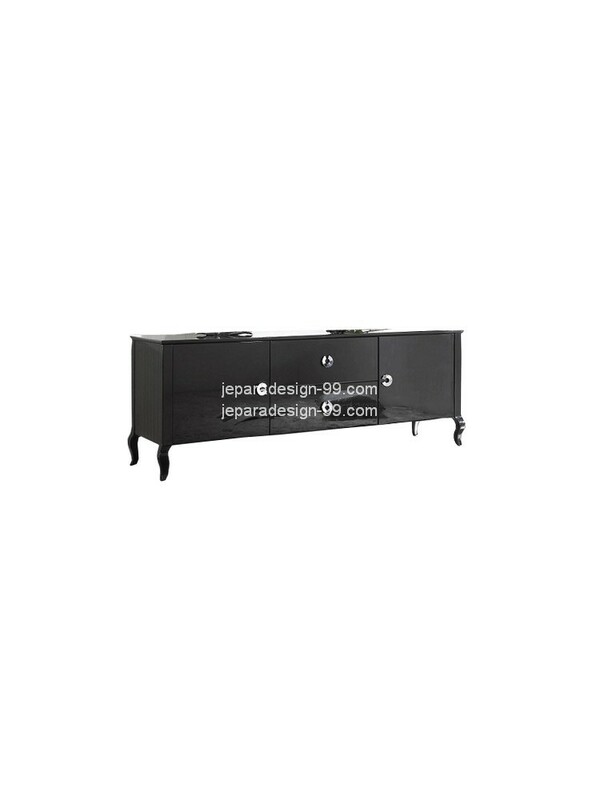 This TV cabinet has two doors and two drawers. 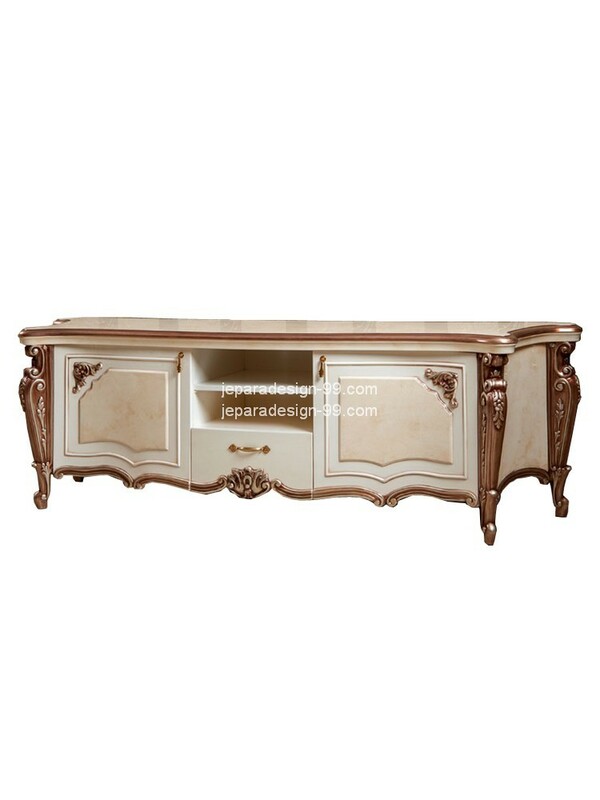 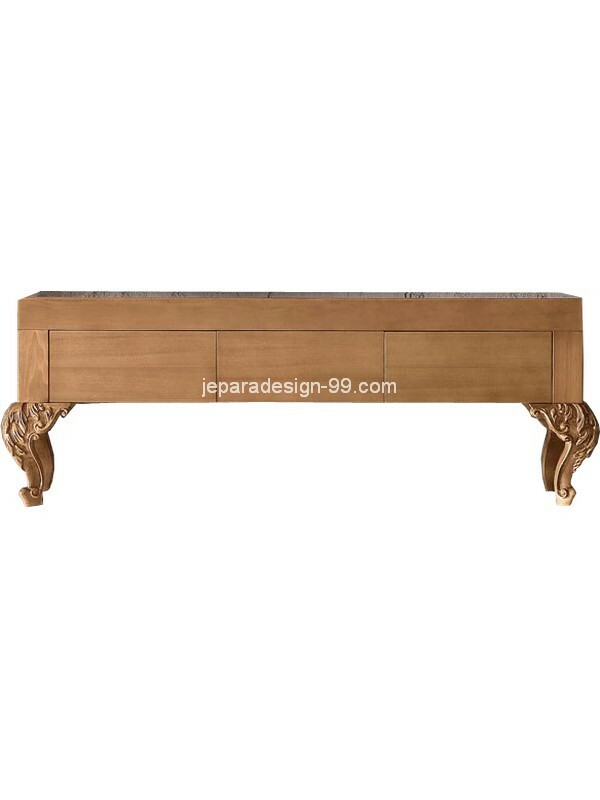 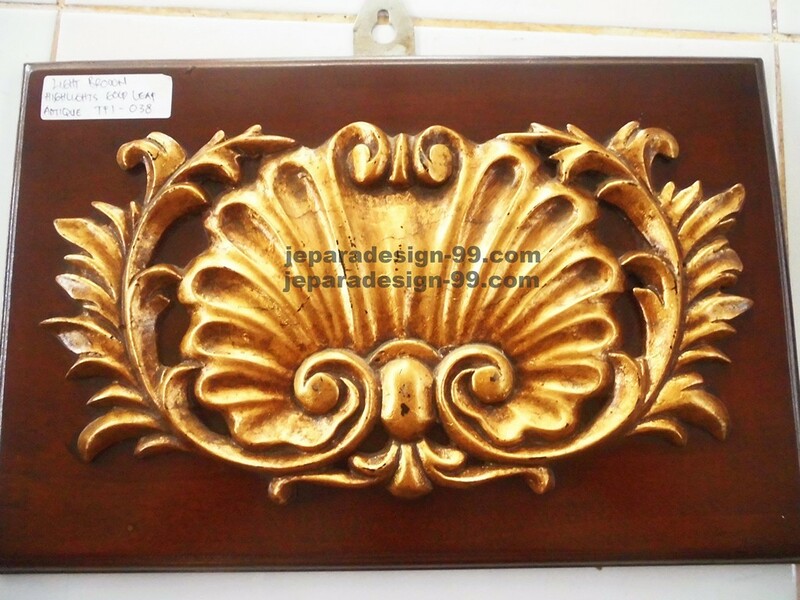 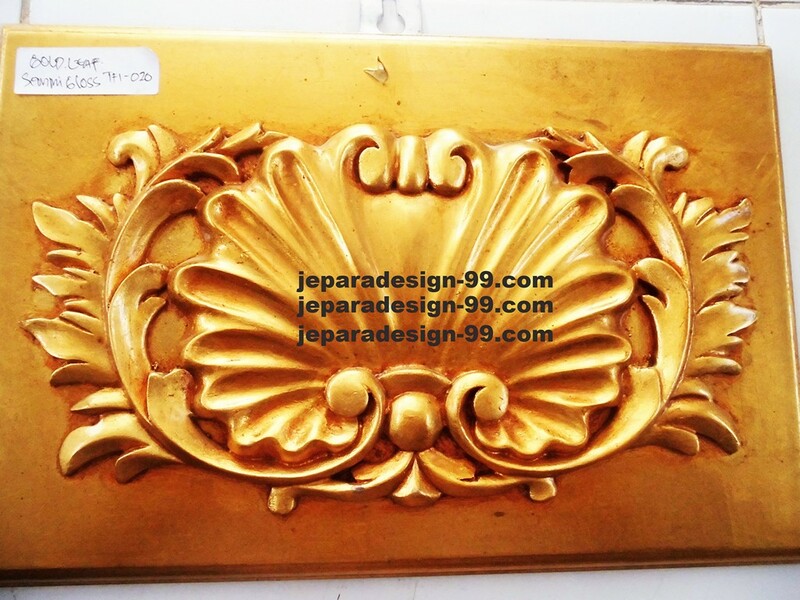 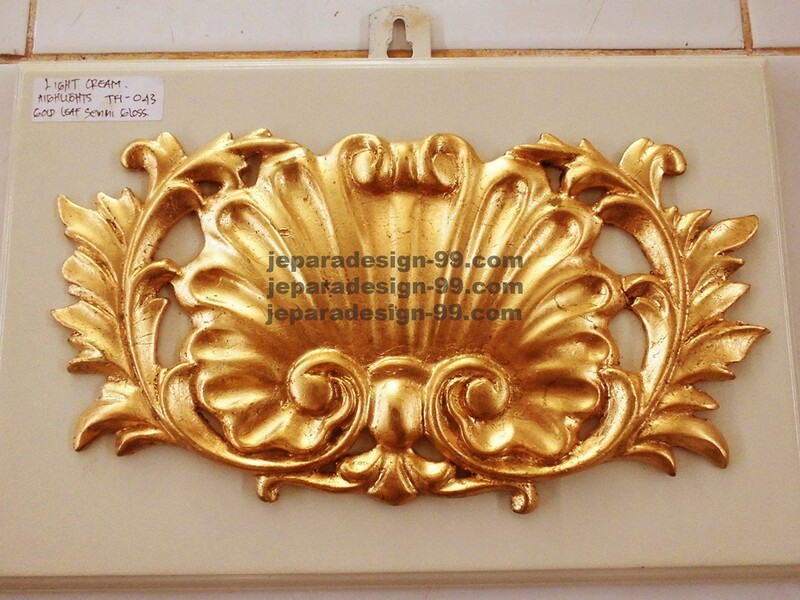 A very stylish furniture to furnish your living room, the gold color will giving more classy accent to your room.